Berkeley Town Hall is situated in Salter Street, Berkeley. It is a beautiful Georgian Grade II listed building which has been modified during Victorian times. 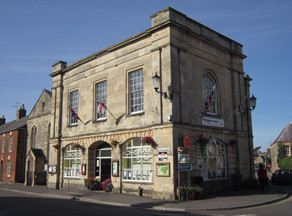 The council uses the Town Hall for its office and meeting room, it is also used by local community groups that provide a wide range of activities. There is a toddler group, amateur dramatics, choir, P3, Physio/pilates, AA, W.I., Citizens Advice Bureau and a local community bank. the hall is also used by the SDC Neighbourhood Warden and the local Police. Berkeley Town Council Office is in the Town Hall - the office opening times are Tuesdays 9 a.m. to 1 p.m., Wednesdays 10.30 a.m. to 12.30 p.m. and Thursdays 2 p.m. to 4 p.m. 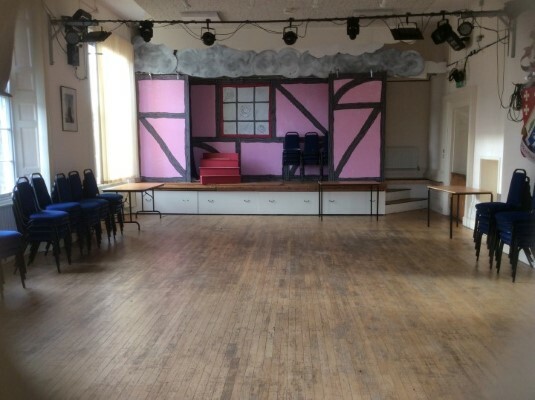 The other rooms in the Town Hall are available to hire. There is a large function room on the first floor which also has wheelchair lift access and a smaller meeting room on the ground floor. There are also kitchen and toilet facilities. The cost of hiring the Town Hall is as follows - Main Hall £12.50 per hour, Meeting Room £ 8.00 per hour and £ 16.00 per hour if you want to use both rooms at the same time. The Council offers discounts to local community groups. Eligibility as a local community group means that the group should be run by local people for local people.